“Few countries are that civilized when it comes to holding a beer in your hands." "The only thing that mattered was whether it sounded good to the Japanese ear." That nonsensical word “ma-nay” might sound a little bit like the English word “money” – well, to the hard-of-hearing or to lip-readers. "This futile process often continues for 3, 4, 5 years or more." "They resorted to excoriating the country – usually with no basis, or for entirely spurious reasons." 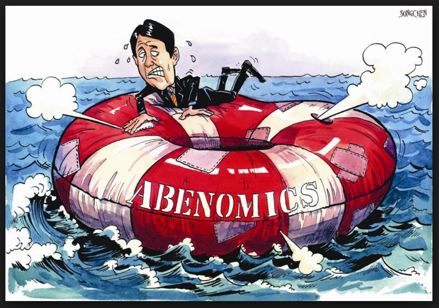 "Abenomics dragged the Japanese economy further and further into the abyss." "I missed the great Indian and Thai food that I had eaten in Japan." "Food that is true to the original, yet unique. And exquisitely delicious." "Not only does Japan provide many excuses to drink. It also provides plenty of opportunities to drink." "Few countries are that civilized when it comes to holding a beer in your hands." "She took control of her life, in a way that most Japanese women could never do." 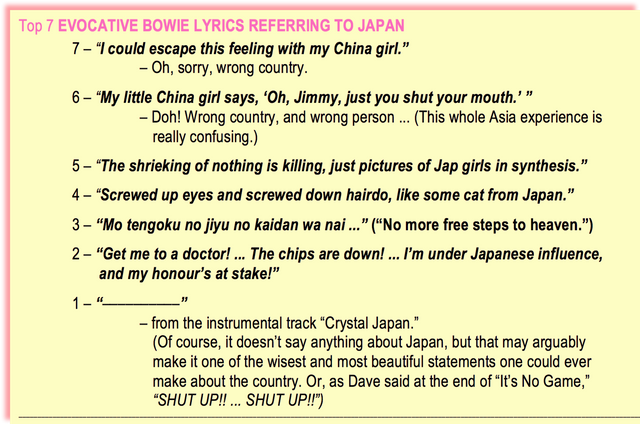 "Bowie's otherwordly incarnations were as unique and alien as … well, as someone from Japan." 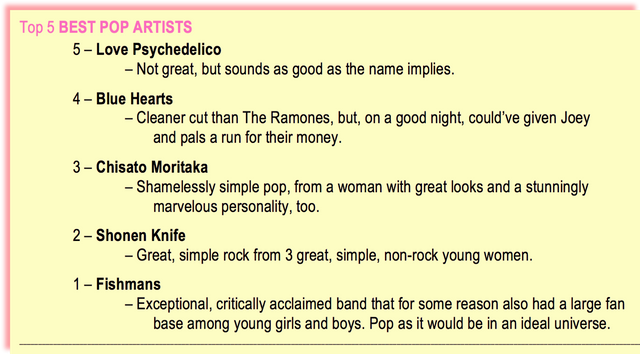 "A great, nonsensical name for a very good band." "I don’t wanna promote any of the banal crap. Or torture you with it." "This is what pop music would sound like in an ideal universe." This music is way out there. It’s unique, weird, surrealistic, transcendent, and sublime. Ultimately, it’s "dreampop." "Imagine there's a country where you can escape the insidious influence of pop culture." "Enka" is Japanese music, and it is indeed blue. Very blue. "Rockin’ minyo folk … Ching-dong punk … Dub trad-trance … and more such music to your ears." 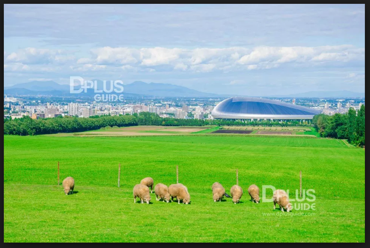 "Some local residents complained about the noise, and politely asked us to tone it down." "Too bad for the bandits and the thieves and the robber barons. Great for the artists." "These great artists deserve all the dollars, yen, and ka-chings they can get." "He was concerned only with playing great music." 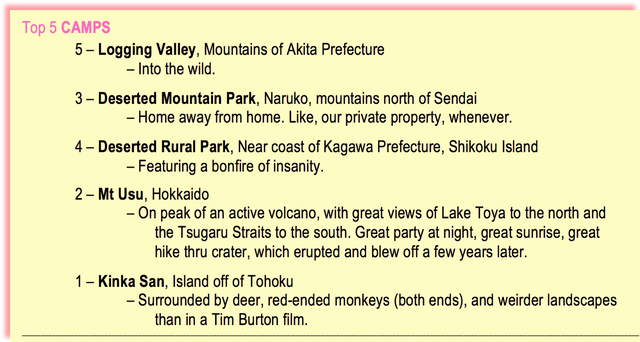 "Stuck in the middle of nowhere, these so-called ‘tourist attractions’ were sterile, unattractive, and excruciatingly dull." "I had to walk through raging rainstorms, blinding blizzards, or screaming typhoons." "The quiet rain was pleasant, indescribably restful, and becalming." "Even in parks where our camping was illegal, people smiled and waved, and made us feel welcome." 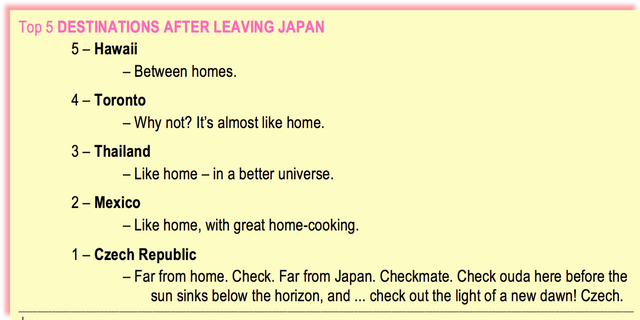 "A truly delightful and agreeable aspect of Japanese life." "The Japanese have taken the art of bathing to a whole new level; transcendence." "Spelling words or names in a foreign language is a lot tougher than you might think." She cleverly came up with this appropriate nickname by blending my real name with the Japanese word meaning “old man." "The name ‘Mr. Rear Tire’ sounded suitably absurd. And most people smiled in approval when they heard it." "The sound of the tide. ... Ooh, la la!" "Suddenly, her name took on an agreeable ring. And it still sounds wonderful." "Hey, Mr DogKeeper! … or … Hey, Mr Second-Floor Hall!" "Cycling along the coast and through the countryside, we saw much more of Japan than most people ever see – more of the country than even many Japanese see." "The best laid plans of mice and men . . ."
"In a sense, ‘tatemae’ allows certain psychopaths to get away with murder." 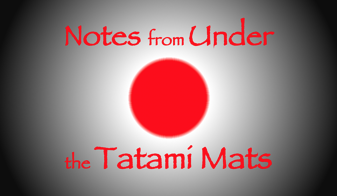 Notes from Under the Tatami Mats – "Part One – Notes 1~50"
Images sourced from Google Images, unless otherwise indicated or unless my own. Your post is so valuable to us that we can learn a lot from this post. We look forward to your post. There are many good quality posts which everyone can sell. Thank you very much for this post. I'm glad you like it. Did you also read Part 1? When will you release the part Two? Or have the notes ended? Regards. Hi, i am omikhatun, don't mind please..Talking of the truth.You can earn money by making comments and can not earn without comment and due to the comments, you can correct their mistakes.I said exactly majes.tytyty. Cuando montas la tercera parte?